There are many kinds of definitions. One way to define something that is often used in the applied sciences, medicine and engineering is to describe the functions of an entity or phenomenon. Basically this way of defining something tells us what it does or what it is for. A stomach can be functionally defined as a digesting food organ. A school is functionally defined as an institution of education. Therapy has the defining function of being a process for helping people move from having less well-being to better well-being. The following major five functions of love present the primary things healthy real love accomplishes or performs. These are seen as ‘adding to’ and ‘rounding out’ the Definition of Love found on this site. With the functional definition added, the usual two questions for basic definition are answered, “What is love?” and “What is love for?”. The hunger for love first drives us to connect with others. Then, if a real love starts to grow, a constructive, bio-psycho-social, affiliative connecting begins. If the right love interaction behaviors occur the brain begins to produce a chemical called oxytocin which is essential for creating a sense of bonding or attachment between people. 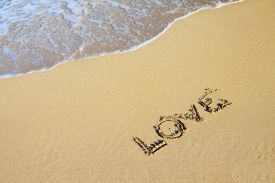 False forms of love can bring on a sense of connection, but the difference is in the resultant destructiveness rather than constructiveness. Real, healthful love tends to help people develop self dependency, and tends to promote growth and boundary clarification. Healthy love functions to safeguard the loved one in constructive, non-oppressive ways. Contrary to some very mistaken ideas about love, real love does not motivate us toward harming a loved one when we are disappointed or dissonant with love. Harmful actions come from a combination of insecure possessiveness and our society’s teaching that ‘love is jealous’ and sometimes ‘violent’. 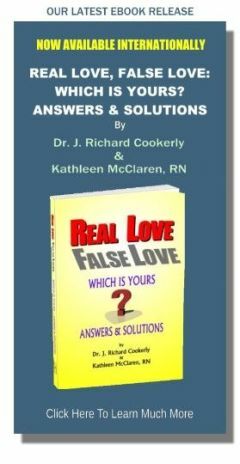 Real, healthy love always wants for the health and well-being of the loved one. Much of love functions to help us develop, strengthen and fulfill our beneficial potentials. Many love actions work like a very nurturing food or like enriching vitamins which help us to grow and vitalize our being. In ways not fully understood love gives us, or triggers a release of energy, helping us to further our progress and to flourish. Healthy love also inspires us to work for the growth and development of our loved ones. False forms of love often try to limit or block the growth of the “supposed” loved one. Some forms of false love actively try to tear down the strength and well-being of another person. Healthful, real love causes us to endeavor to nurture the ever expanding strength, attributes and talents of those we love. In doing this love operates to enhance individuality not restrict it and, therefore, love ‘strengthens the team’ of those who love each other. We are only beginning to understand all the ways love triggers the body into healing responses. When an ill person, or for that matter any high order living creature, begins to receive loving actions their body’s healing mechanisms increase their curative actions. Each type of love behavior seems to set off different healthful, neurochemical responses. Immunity activity increases when we receive certain forms of demonstrated love, stress hormones decrease with other forms of love, and enhanced tissue repair seems to occur with still other kinds of love actions . Self love actions seem to produce similar responses. Most amazing may be love’s effect on psychological illnesses. ‘Received’ love can trigger the brain into making natural antidepressants, anti-anxiety, anti-addiction, and generally pro, good mental health chemistry. In some cases the healing that love seems to bring is nothing short of miraculous by what modern medicine and the physical sciences understand today. Interesting also is the research which shows that giving love is healing to the giver as well as the receiver. If you are wondering how this functional definition of love was derived, a future post will explain that in detail.